Fixcraft and Tree Bicycle Co partnered up produce this polo specific prototype. Tim A from Columbia, Missouri is friends with the owner of Tree, so a while back when Sean from Fixcraft had a vision of a bulletproof frame with flexible options to build it up the connect-the-dots of the poloverse brought these two awesome companies together. Now you've probably already seen pictures of Malakai's massive frame floating around the interwebs (running 700c's) but i particularly like these shots of Tim A's size small frame (running 26's). Tim comes from a bmx background and looking at this bike i can't help but think "oversized bmx bike"! which is kind of what some of those fixed-freestyle frames have been going for, but we all know the problems inherent when those types of bikes get used for polo (too long of a toptube, too long of a wheelbase, etc). This frame seems to be a happy medium of flexibility and indestructibility (is that even a word?). Beefy bmx style integrated headset and mid BB, with removable v-brake mounts at two levels depending on if you're running 26's or 700c's. A scalloped cutout on the seattube for clearance- nice. The dropouts are plenty long and both fork and rear have disc tabs ready to go if that's your thing. You can really see Fixcraft trying to cover all their bases here, so instead of having to order a custom bike you can get all the options in one shot with this frame. I can already see players buy this for 700 then borrowing a friends wheels and giving 26's a try. Or someone who's always run v-brakes deciding to throw a disc on the front fork just cause they can.. or vice versa! That's Fixcraft for ya, always thinking ahead while still leaving the DIY/details to the player. Obviously i haven't gotten a chance to ride this thing yet, but you better believe i'm going to the moment i get the chance.  I'm particularly interested in how the handling changes when going from 26 to 700, and/or if one setup is preferable to the other, but just the fact that you can do both on the same bike is already pretty exciting. Thanks again for the photos Tim! Hope to make it back out to COMO soon so we can hit that skatepark!  All photographs & written content copyright of Top Shelf Polo unless otherwise noted. Picture Window theme. Powered by Blogger.